One thing I particularly love about Christmas is the fact that I can eat without being judged. I believe that there two kinds of people in the world: 1. people who eat to live, and 2. people who live to eat. I’m part of the latter group. I love food! 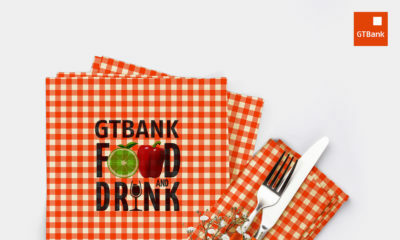 Christmas is the season of love, sharing and FOOD. Everywhere I go there is food. 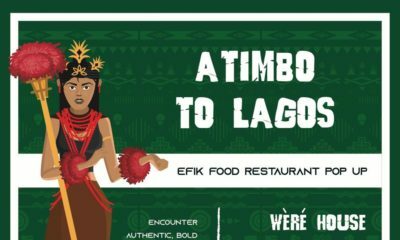 Whether it is homemade or takeout, there is always abundance of food during the holidays and the best part is that so many people invite you to eat that you have a wide catalogue of family members, friends even colleagues to choose from. The holiday goes and I’m left with my mortal enemy – body fat. I begin to regret every bite, every meal, and every drink. I scold myself for eating meat instead of fish or chicken. I scream at me for eating a lot of carbohydrates. I think of the cakes, ice-cream and small chops, and I ask myself “Tola Why?” and then the war to lose all the holiday weight begins. Some ladies are born with what I like to call ‘ Skinny Genes’; so, irrespective of what they eat, they don’t gain an ounce of weight. For others, they are what I like to call F.A.T ‘Fabulous and Thick’. They are the ones with the round mid-rif, curvy hips, and well-fleshed buttocks. For women, weight loss is an ongoing battle. Women are fretful about gaining weight because they either want to look perfect like super models or T.V personalities or they want to stay healthy and energetic. As a food lover, I have learnt over the years that it isn’t always easy to say “No” to a perfect looking meal with a delightful aroma. 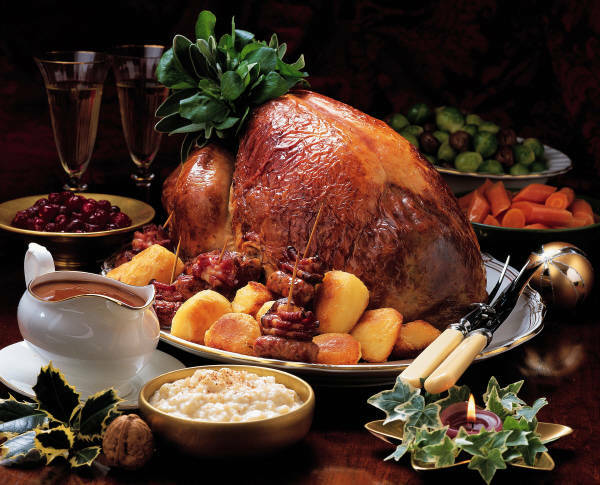 The question then becomes how do you maintain a healthy eating habit during the holiday? I have discovered that a healthy eating habit takes a lot of planning, commitment, dedication, and discipline. Choosing a diet plan that works for you is planning. Being faithful and devoted to that diet plan takes commitment and dedication while abstinence from everything outside that diet plan is discipline. Be active. Turn up that song you love and dance. You have given yourself a good day’s workout and you also feel good about yourself. Go out with friends to watch a movie or just for a walk. We eat less when we are busy doing something than when we are idle. Watch out for those sweet Christmas treats. They are the deliciously yummy in your mouth treats to die for – chocolates, cakes, scones, small chops, biscuits, cookies, ice-cream, etc. Set a limit on how many treats you want to eat in a day during the holiday e.g. my limit per day on chocolate during this holiday is two (2). I’ll take just a slice of cake today then dance for 1 hour, etc. Whatever limits you set, make sure they are realistic even for you. Drink a lot of water in place of fizzy drinks and alcohol. Water, I have heard and read, is a good cleansing agent. It flushes the body of the unwanted, leaving you hydrated. Plus we all know that fizzy drinks and alcohol add to our weight. Eat salads, vegetables, anything leafy that look and smell good in place of carbohydrate. Have a support person/group. Having people help you eat healthy is a good thing. They are there to offer you words of advicee and pep talk when you feel like falling off the wagon. They swat your hand when you have exceeded your limit on the treats. Make sure you choose someone who lovingly helps you and doesn’t discourage you however slightly. You find out that you haven’t gained as much weight as you dreaded before the holiday and if you do gain a lot of weight, relax! Don’t be too hard on yourself. Remember “Choose a diet plan that works for you. Be faithful and devoted to that diet plan and abstain from everything outside that diet plan”. What ways are you going to ensure you eat healthy during this holiday? I hope my recommendations work. I think if you are following a healthy eating plan every other day you should be able to eat whatever you want on Christmas. At least, that’s my rule lol. Nice write up …. would ensure i do dance part ?? 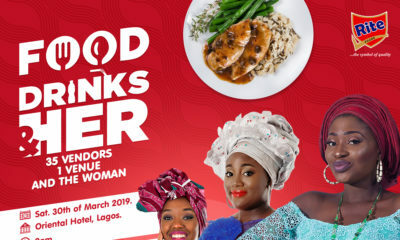 Foodies in the House The 2019 GTBank Food and Drink Festival is Here Again!